2011 doesn’t seem like that long ago, but since we’ve already been through 2004, 2005, 2006, 2007, 2008, 2009, and 2010, it must be time for 2011! Unlike some of the previous years, 2011 didn’t involve a move, or any new equipment from Hollywood, but there were still some significant events. We launched the Pfister Narrator program in 2010 and saw Julie Ferris successfully complete her run in 2011. Later in the year, we were awarded a national Clarion award for public relations from the Association for Women in Communications for the program, which is still running today. It’s always great to introduce a new program that has legs and continues doing good things for a client. 2011 is also the year we brought on an intern specifically for some of our video work. Jason (JJ) joined us and we were darn impressed with his skills. We’ve had many interns over the years, but a few stand out–and when they really stand out, we can’t let them get away. So we hire them! If you’re counting, we ended 2011 with 13 employees. While This Time Tomorrow played a big role in 2010, it’s not the only charity work we do. We’ve also worked with Partners for Humanity over the years, and in 2011 we teamed up with former Green Bay Packers Antonio Freeman and Robert Brown to help out the Gridiron Greats. 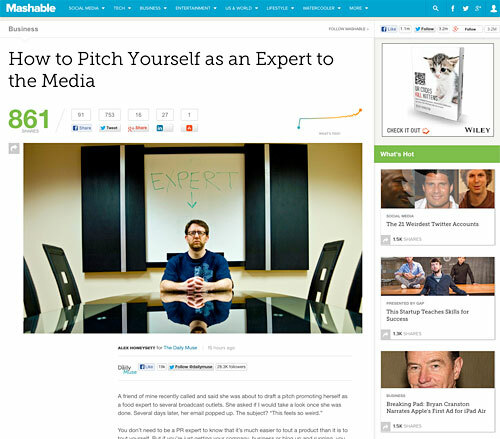 Mashable has a great new post titled How to Pitch Yourself as an Expert to the Media. The picture was taken in the Conference Room of our old office (yes, we moved!) The photo wasn’t very planned, I was at the office late one night doing some system admin stuff and had a bit of spare time, so I set up the camera and took a few shots. If you do an image search for “expert” on Google, most of the images aren’t very good. Mine is, pretty good, I think. 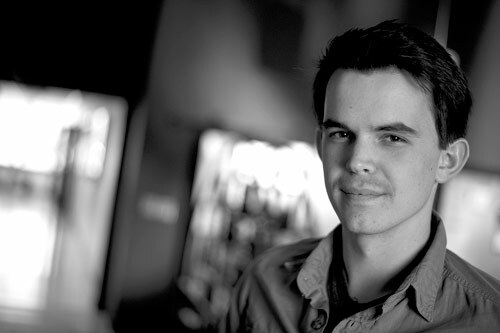 In 2000, Cory Zimmermann’s friend and co-worker was diagnosed with Lymphoma. Cory was devastated that he couldn’t do more to help him through a difficult time. 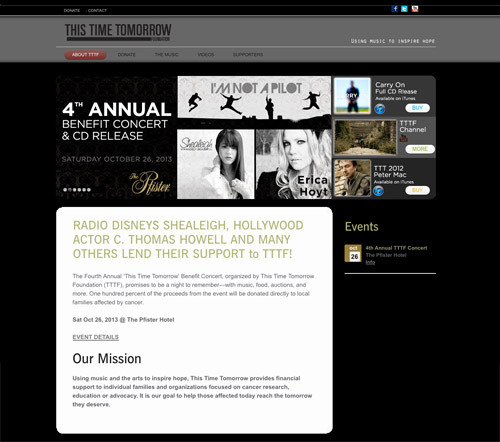 The helplessness inspired him to write a song titled “This Time Tomorrow,” which was later made into a music video, and became a vehicle to help people affected by cancer. Fast forward to 2010 and the 10th anniversary of This Time Tomorrow, and with the help of z2, Cory led the charge to re-record the song, but this time, with a little help from his friends. More than dozen local musicians and vocalists joined in, contributing to the song and video, and many had their own stories of those they knew who had been affected by cancer. It turned out amazing. But we weren’t done… When z2 gets into a project, we really get into a project. And if it’s for a good cause, that’s all the more reason to get involved, so we started planning a benefit concert featuring more than a half-dozen local bands, all to raise not just money–but awareness–about cancer and those affected by it. So while 2010 was quite a year for z2 and our charity, 2013 is another big year. On Saturday, October 26th, 2013 is the 4th Annual Benefit Concert and CD Release. It’s a “dress to impress” event, and we’d love to see you there. Besides great live music by Erica Hoyt, Shealeigh, and I’m Not A Pilot, you’ll also see the new video featuring C. Thomas Howell and have a chance to win some impressive auction items, enjoy amazing food & drink, and best of all, help those in need. 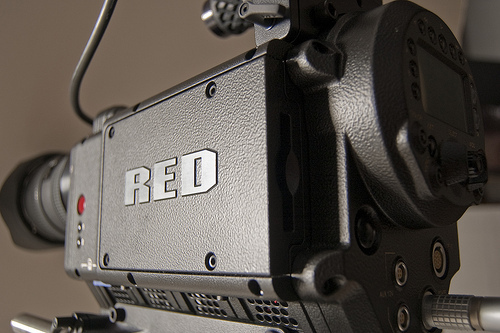 With more and more video production under our belt, 2009 saw the addition of a new piece of equipment, a RED ONE Digital Cinema Camera. While others were just starting to experiment with using DSLR cameras for video, we jumped into the high-end and started using the same equipment Hollywood productions were using for blockbuster films. We also started our relationship with C. Thomas Howell (“Tommy”) who worked with us on a campaign for Assurant Health in 2009. We’ve continued working with Tommy on a number of things, including a photo shoot on the set of Southland, and just this year a music video for the This Time Tomorrow Foundation. Oh, we also grew to 10 employees, which was a milestone not just due to it being double-digits, but also because we originally envisioned Z2 as a company that wouldn’t be more than 10 employees. Whew! We’ve gone through 2004, 2005, 2006, 2007, 2008, and made it all the way to 2009… That leaves just 4 more years until we’ve completed a look back at 10 years of Z2 History! The first four years of Z2 posed a few challenges, but nothing was quite as overwhelming as the move. Oh sure, we did move in 2005, but that was a pretty small affair, right down the street. 2008 marked Z2 leaving Delafield and heading to Pewaukee. The new office was completely remodeled (mostly by us) and we did it all in about six weeks, mainly between the hours of 5 pm and midnight. There was 8,300 square feet to deal with. A little more than half of the new space was office, but the back was an amazing new (and huge!) 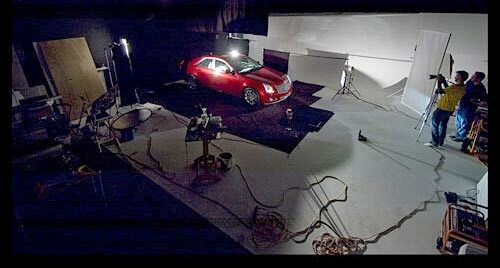 photo studio, which allowed us to bring in large items like generators and even cars. Yes, we could easily drive cars into the studio, as well as lighting trucks for the more frequent video shoots we were doing. 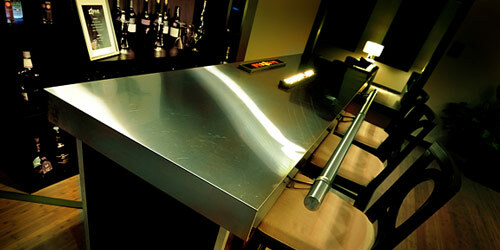 The new office also provided a nice spot for a bar. Everyone has a bar at work, right? 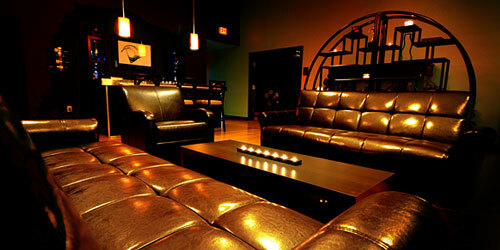 The move was definitely the biggest event in 2008, and we vowed to never move again…. well, we lied. That’s right. We’re moving. Again. Right now. It’s another “just down the street” move, but it’s still a lot of work, and a significant upgrade for Z2. Starting Monday, October 7th, 2013, we will have a new address! We’ll have another post with details of the move coming soon!